Welcome to this week's DDNet Debate, where the whole DDNet team comes together to discuss something that we're passionate about with games. This week we've decided to chat about the use of music in games; when it's done well, music can turn a great game and make it exceptional, but helping to develop the emotional complexity of the game and give us a very real, very primitive link to the action on-screen. So we decided to talk about examples of soundtracks done well, what we look for in game music, and why music is so important to us in our favourite games. Matt S: Perhaps if we can start by talking about some of the game soundtracks that have inspired us the most? I know there's the obvious ones; NieR: Automata, NieR, Persona 4 and 5, but if I think back to game soundtracks that have had a real impact on me, I always come back to Ni No Kuni. Composed by Joe Hisaishi - the guy that worked on many Studio Ghibli films - I felt in that game it really was the music that held the game's emotional core. And that's saying something, as I found Ni No Kuni to be quite emotionally affecting at times. Ginny W: I actually really enjoyed the use of music in Transistor. Not an orchestral soundtrack by any means, and a lot of it was looping synths that would be otherwise nondescript, but I think that the music in Transistor was incredibly central to it - it drove the tempo of the game both in and out of combat, it swelled and dipped with the various cutscenes, and the absence of it was often used to emotional effect. A lot of the music in that game had the effect of capturing specific narrative moments in time and capturing the essence of specific characters, which made it almost like an extension of the storytelling and immersion to me. Trent P: Ni No Kuni sounds like it has a soundtrack that embodies the feeling of a whimsical adventure, however I have not played the game. If I take that similar line of thinking, for me a soundtrack of recent years which digs into my mind like an emotion earworm while playing the game would have to be the soundtrack for Life is Strange. I often say it is the pinnacle of video gaming that title, and its soundtrack is no exception. From the OST comprised of smooth yet edgy music to topping off the soundtrack with indie songs from bands I never heard of prior to that yet still enjoyed. The game has excellent sound design in a lot of cinematic areas which put it at the top of my list. Ginny W: On the topic of orchestral scores though, the music for Dragon Age: Inquisition's Trespasser made me cry when I was playing it. Half of that might have been because of the ridiculous twist but also it was incredibly good at capturing what the narrative was trying to portray - an incredibly bittersweet moment, betrayal, looking to the future, and regret. It was really moving, whichever version of the theme you get. I definitely think that the fact that it was orchestral aided in conveying that sort of emotion - when we think of classical music and of the way an orchestra is composed, we think of all the different melodies that can be executed at the same time, the way that they flow off one another, and how you can hear a sonorous cello in the same breath as the fleeting notes of a flute. The colour of an orchestra lends its own special storytelling to music, and as a classically-trained musician, I feel like the potential for this delivery to tap into emotion is generally unrivalled. Tl;dr not every game needs an orchestral score but they're beautiful, they have a special ability to invoke emotion imo and I love hearing them. Disclaimer: I'm not one of those wanks who thinks that Beethoven is the pinnacle of artistry and that modern music is terrible, even though my incredibly dramatic ode to the cello and flute might say otherwise. Matt C: For me, it’s Wild ARMs 3 and Kingdom Hearts. Both great games regardless, but so, so much better for their scores. Just listening to their OSTs still brings me to tears every time, even more than a decade after I first played those games. Moshe R: The better game soundtracks, and this household votes for Transistor and Bastion before it, seem to be created and mixed into the game as an integral part of the game design. Particularly in Transistor, the music is an active factor, almost a protagonist. I will add that my top spot on Spotify last year was the Transistor soundtrack (mainly my son's fault, but never mind).Similarly, I also like how the Zelda games make use of the music to convey themes, even though I don't think the music is as deeply embedded. I do note that, for me, music seems to play a bigger part in the game that have an impact on me. I really did like the music of Mass Effect 2 & 3, though I don't know if that would have been the case if I was to hear it without playing the games. Then there are the games that feel better without the bombastic soundtrack. I can see how an orchestral soundtrack would work for Mini Metro, but I also think the minimalist approach worked very well there and is almost certainly the better choice. I guess what I'm trying to say is that it's a matter of fitting the right soundtrack to what the game is trying to say. Some do it better than others, as with all things, but the best are probably those where the music is an integral part of the game design. A game like Bravely Default had really good individual songs but after you play for 40 hours and don't hear anything new for the later 20, you just turn the volume of. Matt S: Speaking of heritage in Kingdom Hearts in the way latter games play on the musical themes created in the earlier games, how much of an advantage is it for a series like Final Fantasy to have such a deep catalogue of music? One of the greatest strengths of Final Fantasy XV was in just collecting the soundtracks from all the other games in the series, then listening to them as you drove around the game's massive open world. It's not the first game to have a big "radio" library to choose between when driving around between missions; GTA really kicked that off, but Final Fantasy XV was able to use a thing as simple as a in-game radio to ground the game in the tradition of the Final Fantasy series. And, given that the game was such an untraditional Final Fantasy for the most part, it really was that music that helped give the game its place in the series as a whole. Of course, you know you've got a killer soundtrack when you can make a rhythm game out of it. Theatrhythm Final Fantasy, Persona 4: Dancing All Night... Now we just need Yoko Taro to make NieR: The Musical Game. Matt C: Can you imagine a Yoko Taro rhythm game? Nevermind the music, just imagine a Yoko Taro approach to the genre. Incredible. On the topic of Final Fantasy, I've really enjoyed seeing how the music changed and grew over the years, especially with familiar pieces like Prelude and Opening Theme, and the victory fanfare, of course. So many different arrangements of what started out as really simple (but effective) pieces. I'll never forget my first time playing Final Fantasy X. The opening is so different from series tradition, especially in terms of music. Nobuo Uematsu just casually dropping some heavy metal for the intro cinematic. But then you start playing, and there's this weird electronic arrangement of Prelude. Harvard L: I really enjoyed the soundtrack of Final Fantasy X-2. It put a whole pop culture spin on the classic Final Fantasy style. Matt C: Yeah, FFX-2 is so underrated. Matt C: But that moment in FFX where its version of Prelude starts up sets this tone for the whole game: very different, and a break from tradition in plenty of ways, but still undeniably a Final Fantasy game in all the ways that matter. Matt S: I think music in games is often treated like graphics; this idea that more modern stuff, with all its orchestral recordings, is better than the stuff we used to listen to on the NES or SNES. But just like pixel art is indeed art, I think chiptune music deserves respect as a genre in its own right. The original chocobo theme, for example, is something I'll always be able to listen to, and it will always put me in a good mood. Another great example is the original Pokemon. I actually have the soundtrack for Pokemon Blue/ Red. As compositions, they're incredible. Matt C: Matt, what are your thoughts on Doom (reboot) soundtrack (haha)? Matt S: I can't remember any of it, so it clearly didn't impress me much. But I do have a very soft spot for the original Doom's soundtrack. That was a masterpiece. Moshe R: Unless you count songs. Some Call of Duties have pretty solid song line ups, but then again do they contribute much to the game other than "wow, it's the Stones?" Which brings me to ask if the radio stations in GTA count as a soundtrack? Regardless, some of the GTA 5 own music soundtrack was pretty good. Trent P: Radio stations in GTA are a notable example of soundtracks which are integrated into the gaming world. While the game doesn’t have much OST, the licensed music in the titles is what people remember most. For me the GTA 3 soundtrack was one of my favourites in the series as well as Vice City. As a curated music selection the series contains an extensive variety of music which fits a wide range of genres. I think when licenced music is used in a soundtrack it can still be as impactful as original pieces crafted specifically for the game. Especially when licenced music is integrated into the games world, I love games which radio music comes from environmental objects and not just playing over the top of everything. When a piece is used like that it makes a game world feel lived in. Harvard L: I thought it was pretty interesting how GTA3's parody radio stations also had parody fake pop songs, but otherwise I don't think much of curated soundtracks. I did like how Sleeping Dogs had the same radio station, but a popstar who plays a role in the game's story has songs which appear on radio rotation. The developers managed to world build with sound there. Matt C: Sometimes games can use curated soundtracks to great effect. Case in point: Mafia III. The soundtrack contributes so much to that game's sense of time and place. But games that do that well are particularly rare. Ginny W: I definitely agree with the others regarding the points identified about world building and music almost serving as an ancillary narrative device. I'm curious about people's thoughts about styles of music and whether or not those affect how we receive different tracks. For example Halo's main theme is heavily influenced, I'd say basically to the point of being Gregorian chant. The execution alone makes that interesting, and while I don't think it does much for world building, it's an incredibly fascinating sound and it's memorable, which is where the appeal comes from (notwithstanding that Halo is one of my favourite franchises). Matt S: A good example for you Ginny might be Devil May Cry vs. Chaos Legion. Chaos Legion is the forgotten game, and it's hard to argue that it played anywhere near as well as DMC at its best, but I preferred it, and that's because the game was inspired by opera. I happen to love opera music, so I felt a far stronger connection with Chaos Legion through its musical score than I ever did with any of the DMC games (not that I think they're bad either by any measure). Moshe R: The Halo theme reminded me that my wife & I played it together exactly 15 years ago and we still, to this day, hum that Gregorian chant to one another on occasion. Would we have done that if, instead, Bungie did a FIFA and used the latest hit from 2002 on the soundtrack? Almost certainly not. Trent P: Continuing the line of thought about Mafia III, I love games which the soundtrack helps create the snapshot in time the universe is set in. I might be trailing off a bit, but I think The World Ends With You had a soundtrack which fit that well. The Japanese pop soundtrack really made the world feel lively and exciting. I disagree with the Halo soundtrack, though that might be me blinded by the fact I only found the series interesting with the movie. Which might be a pretty controversial statement. But chant or religious-themed music is usually pretty empowering in video games; Baba Yetu in Civilization 4 is a great example of a "video game song which can be played around non video game people". Clark A: Sorry to trail off further, but I can't help but sing the praises of The World Ends With You as well. That game really does breathe life into its recreation of Shibuya's bustling metropolis by leveraging lively genres like J-Pop and rap to serve as the world's pulse from start to finish. Though they could be abstract and borderline psychedelic at times, the song lyrics worked wonders in underscoring the game's narrative too. Some of the most memorable moments of that game to me are when key lyrics of a particular track sync up perfectly with what with the emotions and adversities of the characters. During the story, a central protagonist is in the midst of overcoming his defiant, outspokenly antisocial nature. He's slowly beginning to form relationships and trust others. The song Three Minutes Clapping features simple lines like "Until this time is up, I can't give up on you" and "Between the lines of lights I'm confused again" that, when set to upbeat music that gets the blood pumping, remind you just how far this character has come that he's now staking his life for someone else. You can sense the character's insular struggle and confusion within the lyrics, but they also represent a newfound confidence and willpower. It's almost as if the character actually has that song booming in the pair of headphones that he always wears and it's pushing him forward. From then on, you begin to appreciate the more subtle lyrical parallels present in the denser tracks, mainly those that relate back to the game's own characters and broader philosophical themes. Ginny W: That sounds incredibly cinematic. I'm really interested in checking out The World Ends With You as a result of this discussion, to be honest. Trent P: Indeed The World Ends With You really is a perfect case study though. Two other tracks from the game, Twister and Calling, are in the same league as Three Minutes Clapping when it comes to lyrical pieces which fit the puzzle of the game. These songs are more to get your blood pumping as you said. But if we are considering the topic of what makes a video game soundtrack good, then the examples we are now entering with The Worlds Ends With You and games such as Mafia or the GTA series prove the key to this is integration with the game itself. More so when those pieces of music heighten the emotional highs and lows because of positioning of tracks and story design. That same isolation technique with the headphones is used in Life is Strange during the opening credits, and personally I find that is one of the strongest times Max is a vulnerable to the world. It is there to create normality, but really all it does is show that Max doesn’t fit in this arguably “pretend” world until she gains her powers. The game has a similar progression which leads to Max been accepted by others and in return respecting them, but only because through her powers she was able to find the right solution. Moshe R: At the risk of interrupting the discussion, perhaps the answer can be explored by looking at the worse examples, or very primitive examples. We all know those mobile games that play the same music again and again to death. On the other hand, that short theme from Pac-Man is incredibly catchy and universally associated with the character. Harvard L: Matt's going to hate me for this but the music in Root Letter is the worst, which is a shame because i normally love VN music. Zero Escape, Stein’s Gate, anything by Key - they all have amazing soundtracks which add to the mood. But I swear half the time Root Letter's music sabotages the mood. Root Letter music is responsible for like 60 per cent of that game's atmosphere. Matt S: Yeah I've got to agree with Matt. Root Letter's music is nearly perfect in capturing that spirit of rural Japan. It's quite beautiful. What does everyone think about the use of vocals in music? I used to wonder if it was possible to do, way back when. Back when consoles didn't really have the hardware power (and game cartridges etc didn't have enough storage memory) for vocals, I always thought that when music tracks with vocals generally cap at three to four minutes in length, they'd become far too repetitive for games. Especially considering that repetition in lyrics is far more noticeable than repetition in notes or phrases. Even with games like Final Fantasy X, I felt that the use of lyrics in some of its tracks (Suteki Da Ne) worked for a particular cut scene, but would not have worked the broader game's background music. But then Persona 4 happened and I changed my mind on that topic pretty quickly. 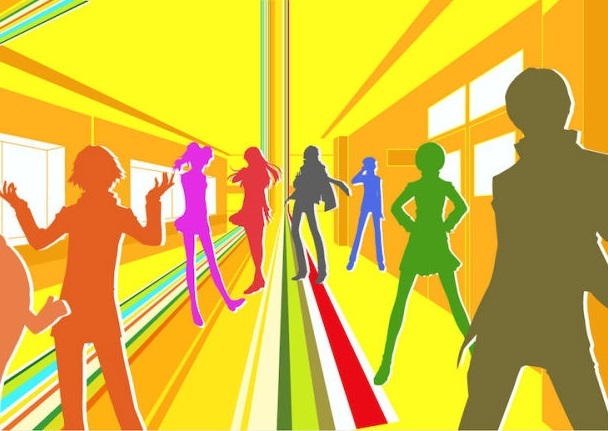 It helps that the actual game is designed around players being busy enough in moving around that the music track would change before a full track with lyrics had run through more than twice, but Persona 4 really did make great use of lyrics in its music to help build the overall game up. And then, later, NieR came along and I could just listen to each track in that game on repeat a thousand times without getting tired of it. Matt C: I think it depends on the game, really. It's all just part of that bigger question of how the music fits into the bigger picture. Lots of vocal tracks works really well for Persona, but they still fill the role of background music. I couldn't recite any lyrics from them, despite however many hours I've played. But Final Fantasy's tradition of having one or two strong, emotive vocal tracks, used for key moments in the game, serves those games really well. Suteki Da Ne, in the way it’s used, works wonderfully for FFX. Same for Eyes On Me in FF8, 1000 Words in FFX-2, Melodies of Life in FF9, and One Winged Angel in FF7. I think that's something that's been missing from more recent FF games. Broadly speaking, they use a lot more vocal music, but they don't have those iconic theme songs like VII to X-2 had. Matt S: But, but, but, Stand by Me in FFXV is one of my favourite opening sequences in a game ever, and the music carries that completely. Final Fantasy XIII and Final Fantasy XII has odd soundtracks though, I agree. I actually don't like the music in FFXII at all, despite it being my favourite Final Fantasy game. I think it generally clashes with the predominantly Middle Eastern aesthetic that the game otherwise drives at. Persona is an excellent example as Matt has identified. However, if I had to score a game myself I would rather have a standout vocal track for a climactic moment and non-vocal music throughout, similar to the general FF philosophy. Just because for me, the vocals being used sparsely mean that as soon as they're heard, the impact of the moment (music and all) is almost amplified because it's so different from the background. Matt S: I have to mention GUST here, because GUST are brilliant at making sparing use of vocals in soundtracks. The Atelier games generally only have vocals in the intro, which sets up the anime adventure aesthetic that the game works with, but other games, like Ar Nosurge, make heavier use of vocals, with the vocals generally being used to deepen the game's most emotive moments. Ar Nosurge is, perhaps, the most underrated soundtrack in a game ever. Everyone should listen to that soundtrack. If you ever want an example of how music can carry the emotional core of an experience, there you go. And perhaps the reason for that is that it's one of those rare games that was produced by someone who actually comes from the sound/composition side of the industry. It's rare for the "music guy" to end up producing a complete game, but it happened there, and it's a really special experience as a result. Oh! And to jump right back to where we were talking about licensed music in games, one other great example of vocals being used in a soundtrack that we haven't mentioned yet is Lollipop Chainsaw, which is my standout example of how licensed music can be used in a game. Juliet Starling using a field harvester to kill zombies while "You Spin Me 'Round" plays in the background is inspired. Goichi Suda is a genius. Item Reviewed: The DDNet Debate: On music and soundtracks; what works, what we love, and what we don't 9 out of 10 based on 10 ratings. 9 user reviews.